We are the coauthors of the Draw Write Now eight-book series. In 1942, as a new teacher, Marie Hablitzel integrated drawing instruction into her curriculum. Over the years, she continued to create unit studies and eventually had a lesson for each day of the school year. Marie was my school teacher for several weeks when I was seven—I joined her class mid-year due to a family issue. I remember the anticipation over what we would draw and learn about each day and was somewhat intimidate because the children in her class seemed so smart. The work was challenging, but it was so much fun in her classroom! See Marie's Story. 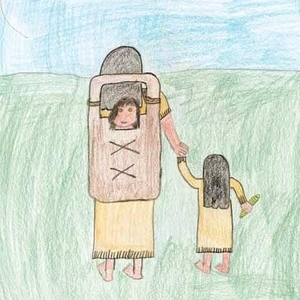 When I signed on as Marie’s coauthor, she was the experienced educator/artist and I was her assistant. She was the wise grandmother encouraging me to teach my children to read or memorize math facts. Ever supportive, she shared what she knew and boosted my confidence. Our lessons help children, parents and teachers—in homes and in schools. It was a gift to work with my mother and a blessing to share her insight and techniques. Marie passed away in 2007, and I am honored to carry on her work. Marie Hablitzel started working on Draw-Write-Now in 1992. Barker Creek Publishing was a start-up business and Draw-Write-Now was to be it's first product. When my mother prepared her drawing to show the publisher for the first time, there was one in the stack that caught my eye—a cluster of grapes. 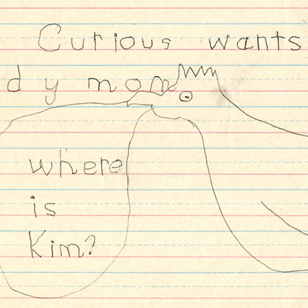 We began working on Draw-Write-Now in 1992 when my children were four and six years-old. They were immersed in their grandmother's drawing lessons. Those of us who knew Marie Hablitzel acknowledged her special way with children. It shone through in children's artwork.